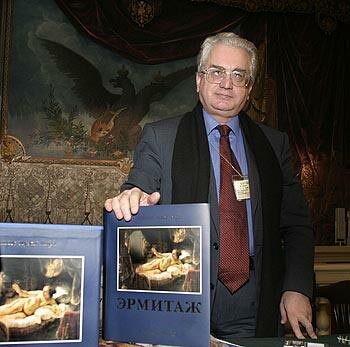 Mikhail Piotrovsky, the director of the State Hermitage Museum, presented to the public his new book "The Hermitage” which was published by “Slovo” in the series named “The great people of the world”. He had been working on the book for three years. More than 500 ullustrations showing the artworks of the artists of different countries and epochs are presented in the album. City news archive for 05 December' 2003. City news archive for December' 2003.